Product prices and availability are accurate as of 2019-02-05 15:33:53 UTC and are subject to change. Any price and availability information displayed on http://www.amazon.com/ at the time of purchase will apply to the purchase of this product. 2800867 Features: -Harmonious whistle. -European design. Color: -Silver. Material: -Stainless steel. Capacity: -2.64 Quarts. Dimensions: Overall Height - Top to Bottom: -11". Overall Width - Side to Side: -9". Overall Depth - Front to Back: -10". Overall Product Weight: -3.39 lbs. This whistling tea kettle, boils 2.5 L of water quickly, and then harmoniously whistles to let you know when it boils. 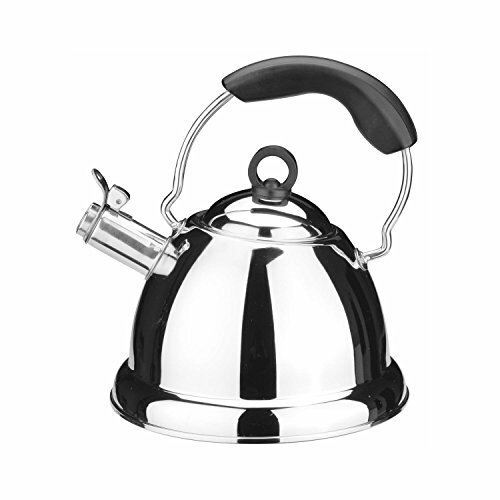 Made of high-quality stainless steel that is designed to keep your water hot even longer. 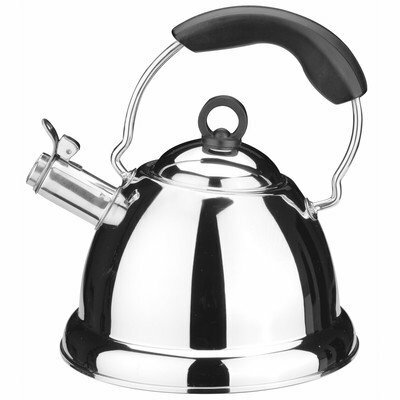 This tea kettle features a large stay cool handle and dripless pour spout for comfort as well as safe pouring. 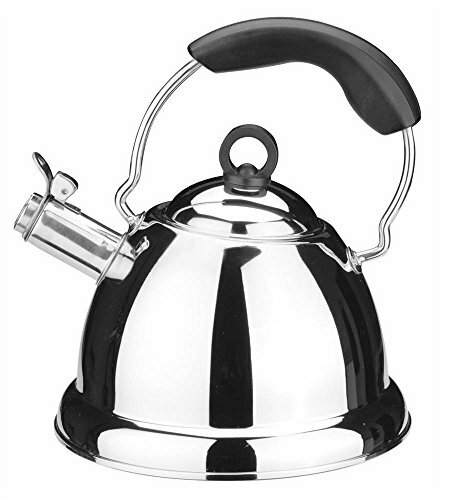 Use on any stove top: gas, electric, ceramic or induction.